All on ground floor: Living/dining room/kitchen with beams. 3 bedrooms: 1 double, 1 twin, 1 bunk (for children). Bathroom with shower over bath, toilet and Velux. Electric woodburner in living room, first amount included electric included, remainder by meter reading. Bed linen included. Towel hire. Travel cot. High-chair. Freeview TV. DVD. Electric cooker. Microwave. Shared w/machine (at cost). Shared laundry room with t/dryer. Shared freezer. Shared grounds with courtyard. Private sitting-out area and furniture. Barbeque. Parking (2 cars). Children’s indoor and outdoor play areas. Shared hot tub, open Oct-May. One dog welcome, must be kept on lead at all times. No smoking. NB: Fenced river 0.25 miles. Holidays at Oak Cottage run from Saturday to Saturday. For a better idea of where Oak Cottage is, you can see Oak Cottage on the map below. Oak Cottage is in Cornwall; should you be on the lookout for a special offer, you can find all the special offers in Cornwall. It's always worth checking to see what is on offer at the moment. 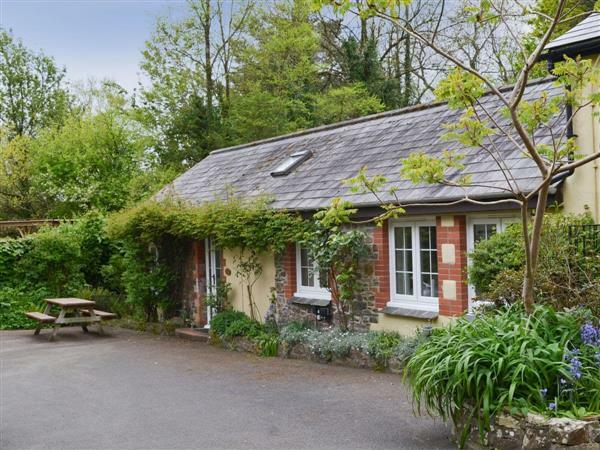 Do you want to holiday near Oak Cottage (W42397), you can see other cottages within 25 miles of Oak Cottage; have a look to find your perfect holiday location.